The ease of using a mobile shelving system requires just a little more cost to make system electric power driven. A completely freestanding rolling shelving system requires no drilling; no fixing down; no messy ground, or civil works; Mobile rolling shelving will not damage or disturb your current office space, carpet, or floor covering. If you have an area of static shelving which needs increased, your choice of a mobile roller shelving system, to maximise office file storage, will enable greater use of the space; converting this to rolling shelving gives up to 60% increased storage space. Libraries may need high density shelving. The same holds for museums that need storage capacity, or shelving for the many artifacts, & photographic negatives that are stored. 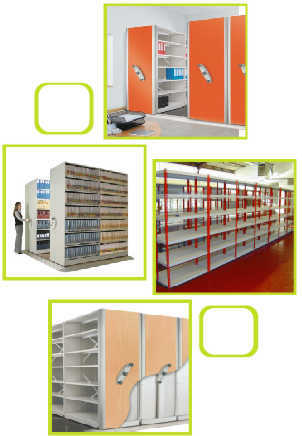 Rolling shelving storage for libraries meets that demand head on, with easy to use high density storage systems: Roller racking, & mobile roller shelving, makes use of available library space, and frees such areas. With the additional floor space savings a single moving aisle can bring, librarians can be more efficient to reach all the shelving quickly, & easily. 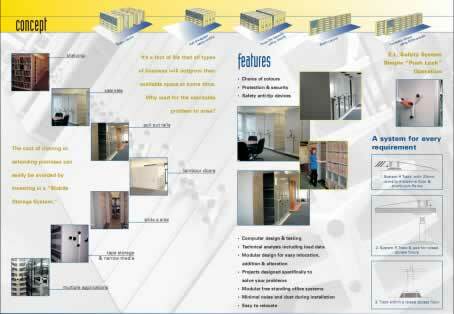 JJ Storage has introduced a new brochure of mobile rolling shelving systems that can be modified, or even custom built for a bespoke storage solution for libraries that can accommodate their needs, as well as using these custom built storage shelves for small parts storage, Book Libraries, archival & museum storage, or medical records. For a library with tight area resources, specifically storage area & capacity, their is a greater need for storage systems to meet their increasing need for more shelves within less space. The ways in which the space saving attributes of roller racking & mobile roller shelving can be used, is innumerable. Alternativley, the same amount of items may be stored within a mobile rolling shelving system, which releases nearly half the space for other office usage. Our entire comprehensive range is presented in the catalogue with products of extremely high quality. Mobile roller shelving makes the very best use of available office floor space, by only requiring the area for a single moving shelving system to reach all the shelving. 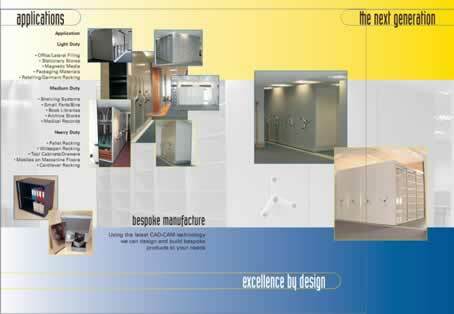 using the latest CAD-CAM technology we can design & build bespoke storage systems for your needs. 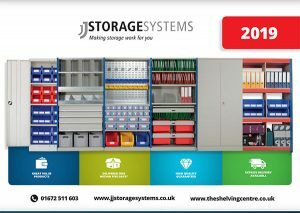 JJ Storage Systems also supply the traditional method of shelving, stacking systems, and storage, and have an abundance of recycled units available for installation into your office, giving you an inexpensive office filing solution. Please ask our team for the latest stock.